Experience the magic of London 2012 in a single day! The exciting city London will definitely be at the centre of attention from the period of the 27 July to 12 August 2012 due to the Olympics in 2012, followed by the Paralympic Games which will be held in London from the 29 August to 9 September. Have you ever wondered how gigantic the Olympics 2012 venues are and would you like to feel the vibe of the Olympic Games? Then, Olympic Tour is the best choice for you. In addition, you will be able to experience the marvellous historic Stratford with the Stratford Old Town Hall. 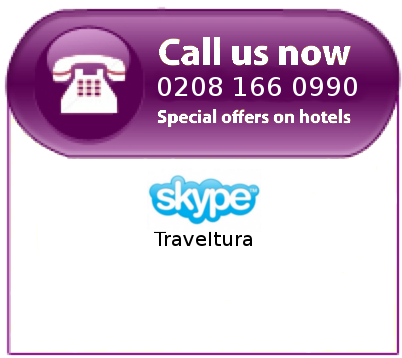 At a reasonable price you will be able to enjoy a day in London including plenty of impressions. Book Olympic Tour 2012 online right now! This amazing option offers you access to the VIP Olympic Park Viewing Gallery and gives you the opportunity to have an incredible view over the Canary Wharf, Olympic Park and Stratford, a popular area in the city of London. This is the perfect choice if you want to learn more about the fascinating surroundings of the VIP Olympic Park Viewing Gallery. When visiting the VIP Olympic Park Viewing Gallery is not enough for you and you are thrilled to find out more about the historical monuments in Stratford, then choose the Olympic Tour Option 2. This particular option is best begun from the Stratford or Pudding Mill Lane station in order to enjoy an amazing view of the Olympic Stadium. This Olympic Tour continues with a guided tour through historic Stratford visiting sights such as the Stratford Old Town Hall. Moreover, a marvellous lunch is offered in order to provide you with enough energy. This Olympic Tour option combines the above tours into one package. First of all, you will start the tour with an incredible view of the Olympic Stadium from the Stratford or Pudding Mill Lane station. Afterwards, the tour will be continued with a guided tour through Stratford by visiting the historic sites such as the theatre Royal Stratford East and the Stratford Old Town Hall. Moreover, have lunch at the popular Carribean Scene Restaurant and have time to relax and enjoy the beautiful surroundings. This Olympic Tour option will end with the visit to the VIP Olympic Park Viewing Gallery. The Olympic Toucan be booked online, or call us at 0800 11 234 55 to speak directly with one of our agents and build the perfect travel package for your next trip to London.